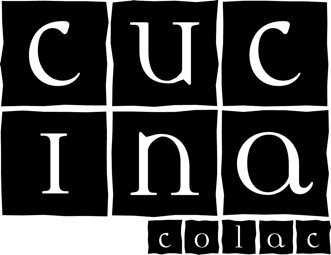 Cucina Colac Cookery School recognises the importance of protecting the privacy of information collected about visitors to this website. Personal information about visitors to this website is collected only when knowingly and voluntarily submitted. For example, we may need to collect such information to provide you with further services or to answer or forward any requests or enquiries. It is our intention that this policy will protect your personal information from being dealt with in any way that is inconsistent with applicable privacy laws in Australia. Personal information that visitors submit to our sites is used only for the purpose for which it is submitted. Copies of correspondence sent from the web site, that may contain personal information, are stored as archives for record-keeping and back-up purposes only. Apart from where you have consented, or disclosure is necessary to achieve the purpose for which it was submitted, personal information may be disclosed in special situations. In the unlikely event of an investigation, a law enforcement agency or other government agency may exercise its legal authority to inspect our logs and databases. We will endeavour to take all reasonable steps to keep secure any information which we hold about you, and to keep this information accurate and up to date. If, at any time, you discover that information held about you is incorrect, please contact us to have the information corrected. For more information about privacy issues in Australia and protecting your privacy, visit the Australian Federal Privacy Commissioner’s website (www.privacy.gov.au).